Ibi Davis-Ossuetta focuses her practice in the representation of self-insured employers and insurance companies in workers' compensation cases, including workplace injury, Labor Code Section 132a and serious and willful claims. Ms. Davis-Ossuetta manages cases from inception to conclusion, including conducting discovery, negotiations and litigation. Her experience includes many depositions, court appearances and trials. Among other clients, she has represented NFL teams before the Workers' Compensation Appeals Board relating to claims brought by professional football players. Ms. Davis-Ossuetta has also represented employers and insurance carriers in ERISA litigation. She is experienced in representing clients in the entertainment industry and has drafted and reviewed contracts, secured actors for projects, record deals, public relations services and the like. Ms. Davis-Ossuetta has also prepared actor management contracts and has represented actors, producers and artists in other capacities, such as in meetings with writers, agents and managers. Ms. Davis-Ossuetta's transactional experience includes representing clients in the purchase of franchises, including drafting and reviewing franchise agreements, negotiating terms with the franchiser, negotiating terms of lease agreements, and providing advise regarding small business loans. 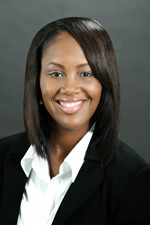 Ms. Davis-Ossuetta joined Hinshaw & Culbertson LLP in August 2009. Previously she was for one and one half years a sole practitioner. Upon graduation from law school, Ms. Davis-Ossuetta clerked for a year with Los Angeles County Child Support Services Department. From 2003 to 2004, she was an associate attorney at Zaks & Barnard, LLP, in San Marino, California. In 2004 she moved to Seyfarth Shaw LLP in Los Angeles, where she remained until opening her own law office in August 2007. During law school, Ms. Davis-Ossuetta clerked in 2000 with the Special Enforcement Unit of the Los Angeles City Attorney's Office, and also with the Licensing Section, Civil Law of the California Department of Justice Office of the Attorney General. Among her law school achievements, Ms. Davis-Ossuetta was President of the American Bar Association Law Student Division, recipient of an American Jurisprudence Award for Torts I and a Distinguished Public Service award. She was class representative to the Student Bar Association and was listed in "Who's Who Among American Law Students."